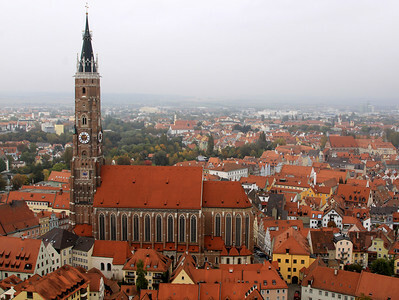 Landshut - The town and the Church of Saint Martin, featuring the world's tallest brick tower, with a height of 130.6 metres. 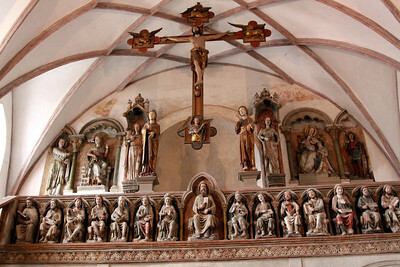 Church built early 15th century. 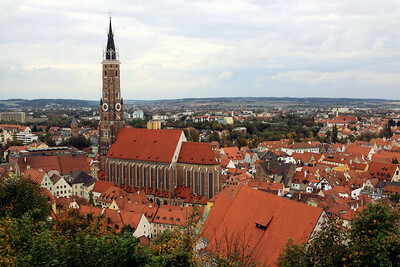 Landshut - The smaller St. Jodok church and surrounding buildings. 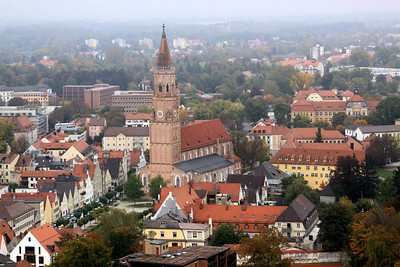 Landshut - Another view of the town and St Martin's church. 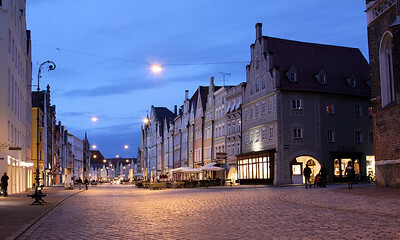 Landshut - Altstadt, the historic main street of Landshut. 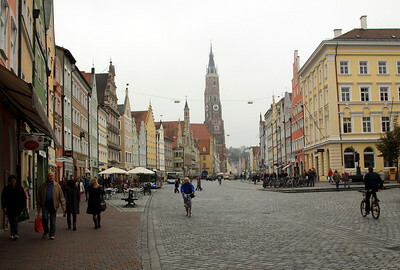 Landshut - Altstadt, the historic main street of Landshut, with St Martins church in the background. 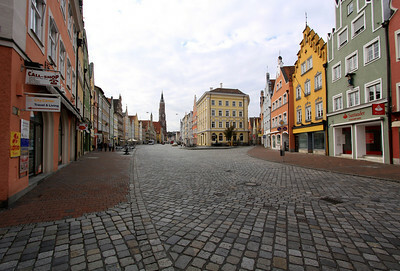 Landshut - Neustadt, the second main street in the old part of Landshut, running parallel to Altstadt. 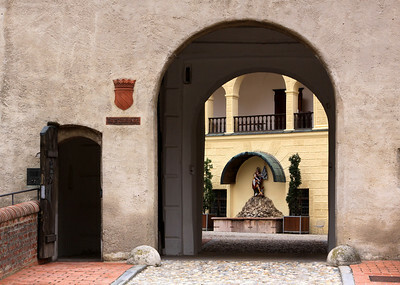 The monument is a memorial to WW1 (I think). 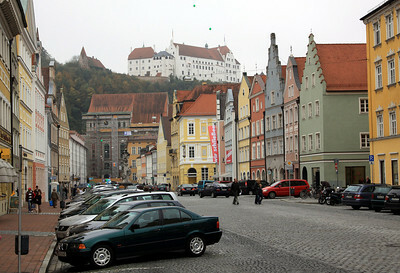 Landshut - Another view down Neustadt, showing Burg Trausnitz (Trausnitz Castle) on the hill. 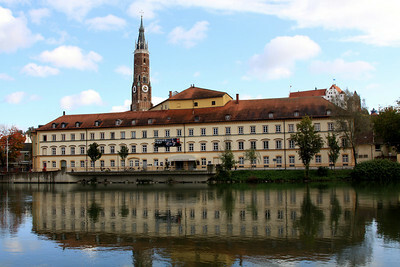 Landshut - Stadttheater, venue of the European Severe Storms conference (the reason I was there!). 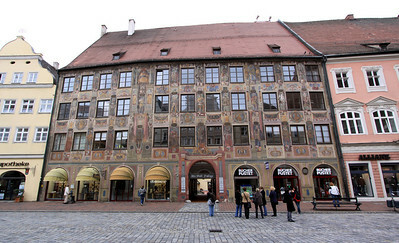 Landshut - Building on Altstadt (not sure what it is). 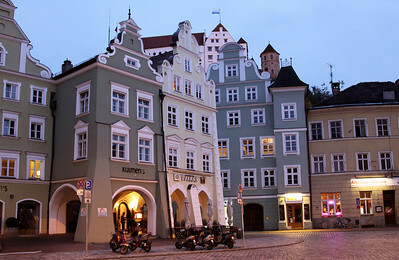 Landshut - Buildings at the end of Altstadt, with the castle in the background. 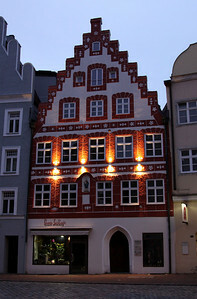 Landshut - Another building on Altstadt (not sure what it is). 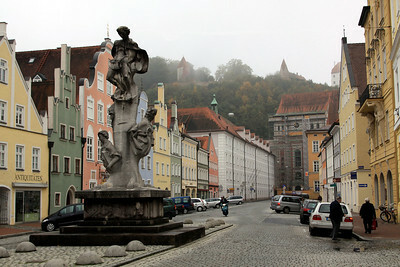 Landshut - View down Altstadt. 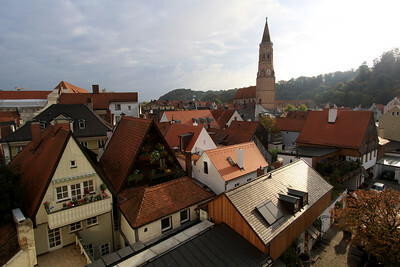 Landshut - View out of my Hotel window (Golden Sonne) towards St. Jodok church (before it snowed!). 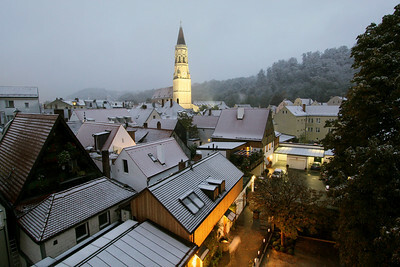 Landshut - The view out of my hotel window with snow covered buildings. 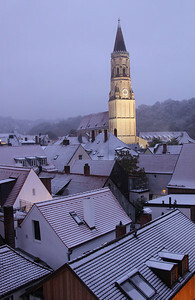 Landshut - The view out of my hotel window towards St Jodok church on a snowy evening. 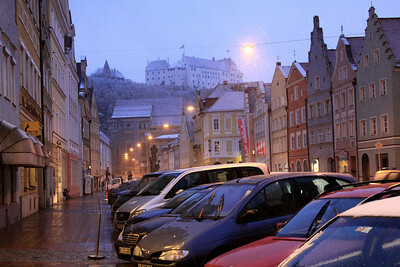 Landshut - View down Nuestadt towards the castle on a cold snowy evening. 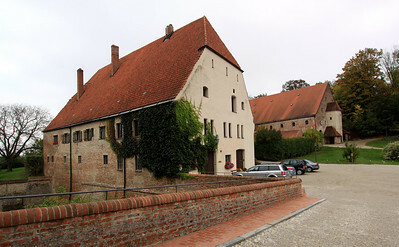 Landshut - Burg Trausnitz (Trausnitz Castle). 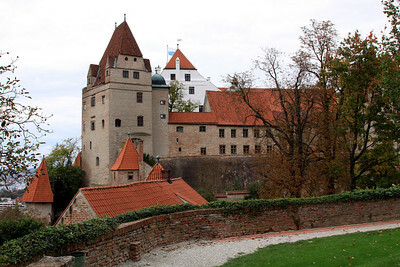 Landshut - Burg Trausnitz (Trausnitz Castle). 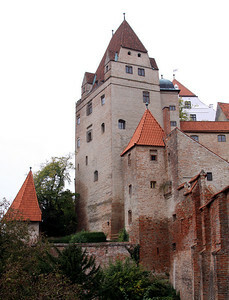 The castle was founded in 1204 by Duke Ludwig I.
Landshut - Burg Trausnitz from the southwest with the Wittelsbacher Turm (Wittelsbach Tower), Jägerhaus (Hunters' House) and western ring wall. 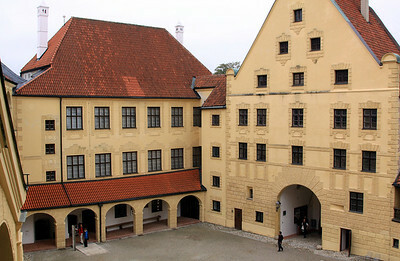 Landshut - Trausnitz Castle - The gateway building leading to the Inner Courtyard. 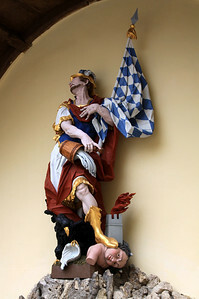 Landshut - Trausnitz Castle - Statue in the Inner Courtyard (I don't know what it is suppose to represent). 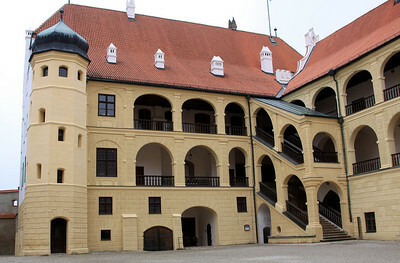 Landshut - Trausnitz Castle inner courtyard. 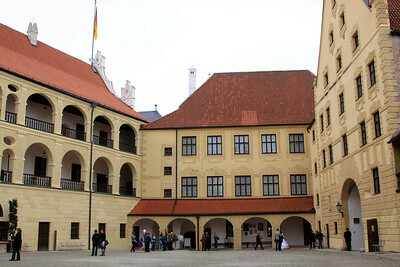 Landshut - Trausnitz Castle - Inner Courtyard and main tract of the castle with the arcades ("Walkway Building") by Friedrich Sustris, 1578. 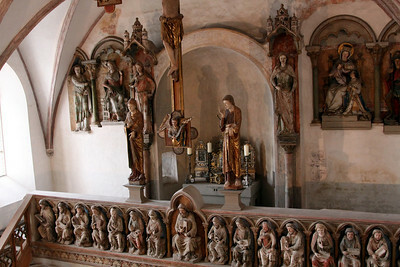 Landshut - Trausnitz Castle - Georgskapelle (St George's Chapel). 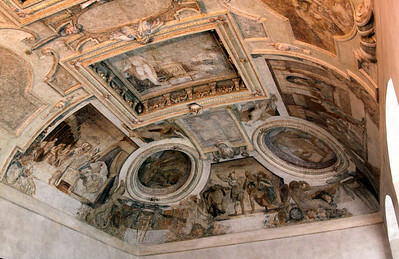 Landshut - Trausnitz Castle - ceiling of the 'Italian extension' inside the castle. 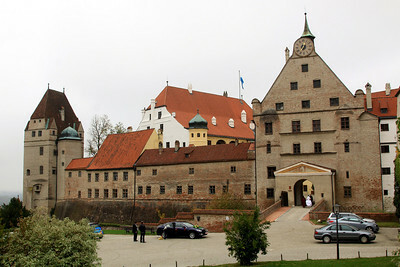 Landshut - Trausnitz Castle - the former court stables (foreground) and wine cellars (background).